Historic schooling of Jorge Ramos!! The current Tropical storm Erika is a threat currently in the Caribbean and, a potential threat to south Florida, as a potential Hurricane. This is historic because the storm is due to the Cuban exiles and the embargo! 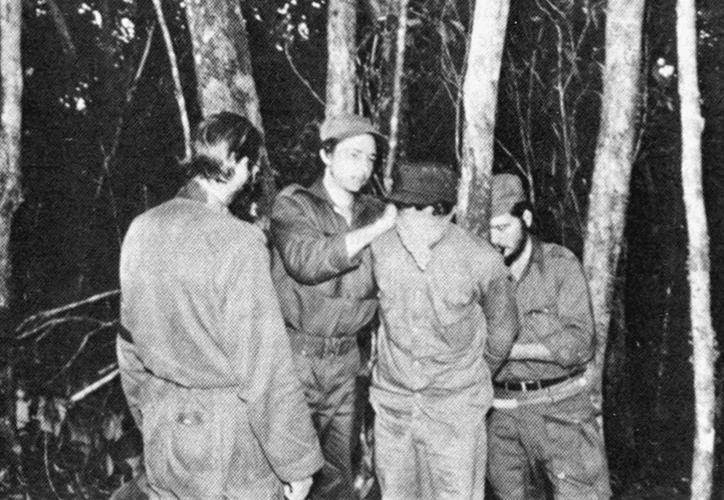 Historic Video of the day in Cuba! FREE Danilo Maldonado "El Sexto" !!!!!!! Where are all of our latino brothers? Wow chico..........I forgot that Cubans are not in the exclusive "LATINO" Club! 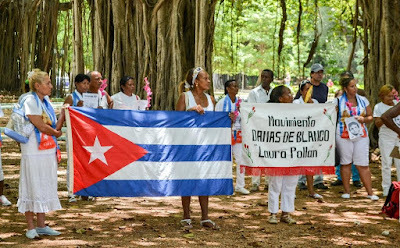 Since Cuba is such a paradise, 100 doctors fled Venezuela are now in stranded in Colombia seeking legal entry into the U.S.
STOP THAT..... NO VISAS FOR THE CUBAN DOCTORS.......The OBAMA REGIME WILL NOT HAVE ANY OF THAT.......................................NOR WILL ANY LATINO ACTIVIST! 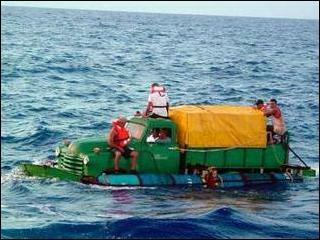 SNOOTY Cubans get enough special treatment! Historic Cuban Selfie of the day!!!! 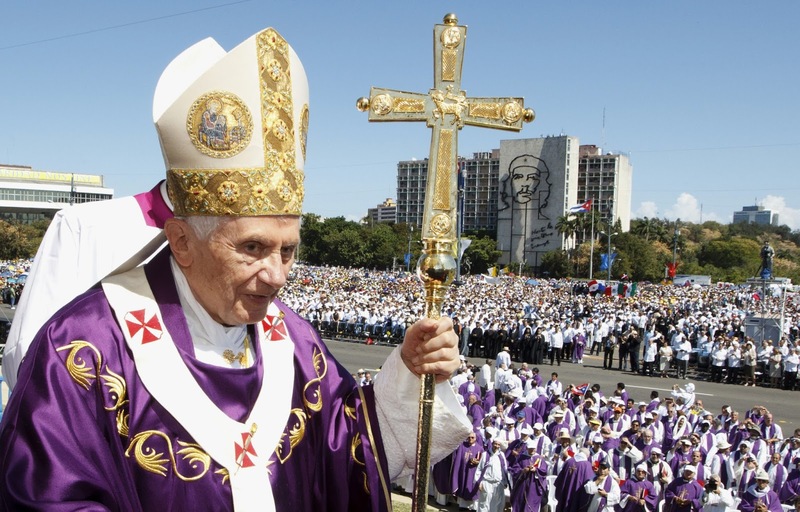 Historic Pope's visit to Cuba and the US? Francis to meet with illegals during September visit? 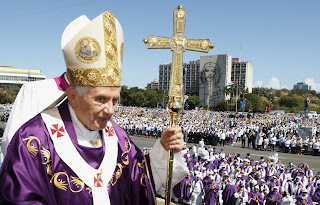 50,000 Hispanic Americans will welcome Francis to D.C.
will he visit the Cuban dissidents? 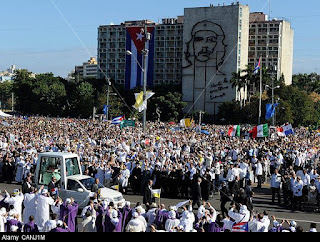 will he REMOVE or COVER the image of Che Guevera during the scheduled mass at revolution square in Havana in September? will he denounce Planned Parenthood here in the US? Historic Cuban Selfie of the day! I don't know how much I can STOMACH the word Historic on the embassy opening in Havana, and the obligatory 3 classic cars strategically placed in the background for millions to see. In reality a NON-HISTORIC SAD day. Do the people of Cuba have FREEDOM? NOOOOO!!! 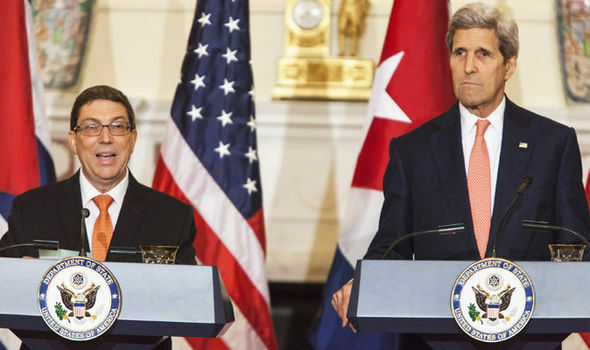 I emphasized that the totally lifting of the blockade, the return of the illegally occupied territory of Guantanamo, as well as the full respect for the Cuban sovereignty and the compensation to our people for human and economic damages are crucial to be able to move towards the normalization of relations. The word HISTORIC is being said a thousand times today, but in reality a NON-HISTORIC SAD day for freedom. If you think different than that of the dictatorship in Cuba and that of the Obama regime, you are NOT even considered in regards to Cuba. yet they get NO press? 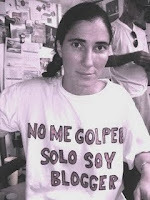 Not those who sell their dignity!!! BUT THE CUBAN PEOPLE ARE NOT FREE! CASTRO TO AMERICA: YOU OWE US MILLIONS! Millions due to the embargo? Yes, Alfredo!!! 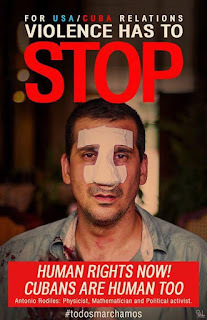 ALL of Cuba's problems are due to the embargo and the blog El Cafe Cubano. NO, it does not matter the Cuba can trade with 195 out of the 196 countries in the world. Doesn't matter that Cuba has traded and has had relations with Canada and Europe for YEARS. 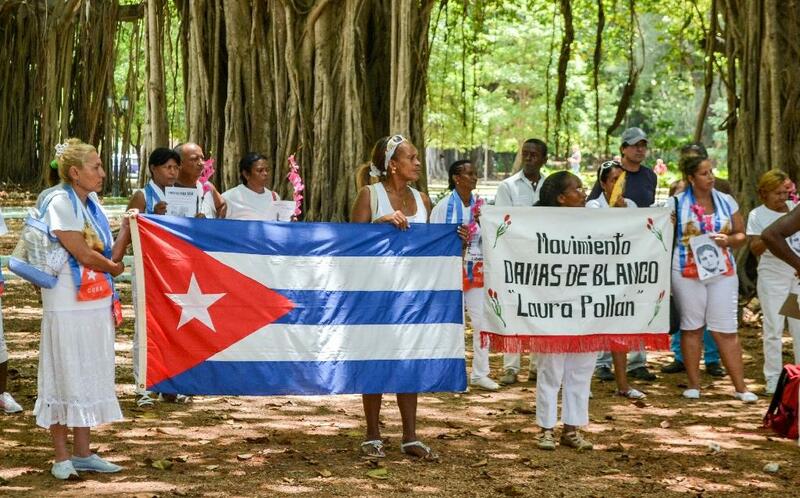 It does NOT MATTER that FIFO stole properties, NATIONALIZED banks, and imprisoned thousands........It's the embargo and the Cuban Exiles fault for ALL of Cuba's woes!! The news media all abuzz and throwing words like Historic a thousand times concerning the Embassy opening. Biff and Jane spouting that this is wonderful and singing kumbaya. This is a letter to wish you well, that God will bring you many blessings, and to ask your help in regards to Cuba. 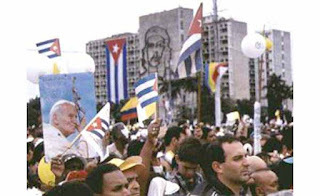 On September 20 (Havana) the Holy Mass is scheduled for 9am in Havana’s Revolution Square. The first request for help: Please cover the image of Che Guevara, and have the image of Our Lord and Savior Jesus Christ instead! 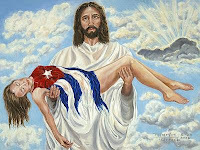 The image of Jesus Christ beaming to millions on TV and to those in Cuba is more reflective of the sacred mass, than the image of an executioner of the Cuban people. The second plea for help: Please allow the Damas de Blanco (Ladies in White) to attend the Holy Mass on September 20, 2015! 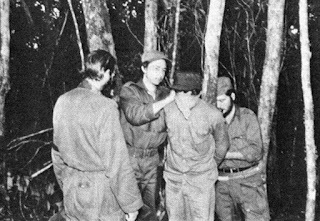 All the Cubans that have been executed, imprisoned, and tortured deserved it according the authorities on anything having to do with Cuba. 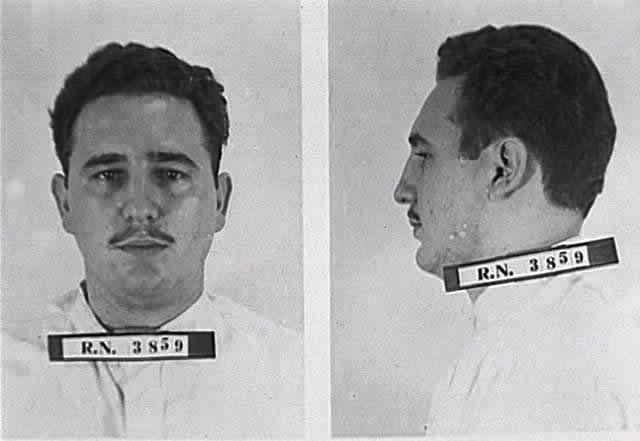 Cubans before Castro were snooty and they all WORKED for Meyer Lansky in the Casinos(Their were 3 casinos in 1955 in Cuba). "Miami. is there that a nutty bunch of Cuban exiles have controlled U.S. foreign policy regarding this insignificant island nation. These Cubans, many of whom were Batista supporters and lived high on the hog while that crook ran the country, seem not to have slept a wink since they grabbed their assets and headed to Florida." commented from someone who really knows what happened in Cuba! This from an authority who has a net worth of $50 million. 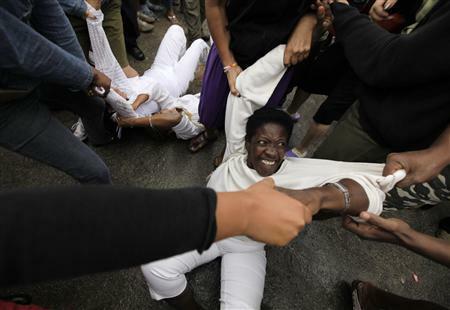 "Cuba arrests 90 dissidents at protest march"
I thought by opening the Embassies, trading straight up for Alan Gross, and the dialog between the US and Cuba that things would be better for the Cuban people? That's the whole arguement and premise frpm all the classic car lovers right? 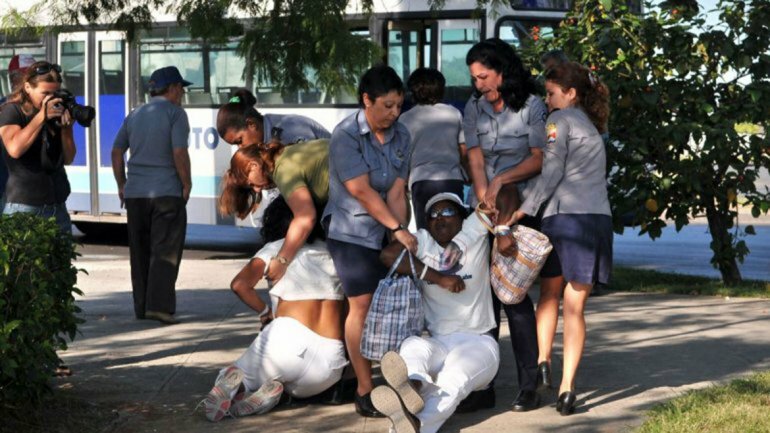 Uniformed police and plainclothes officers were on hand at the incident in Havana's upscale Miramar district. When marchers who were not arrested started to leave, pro-government activists chanted "down with the pack of worms." Kerry will be in Havana Friday for the ceremonial inauguration of the newly reopened US embassy. On January 20, the countries officially reopened embassies in their respective capitals. Soler said he hoped Kerry would meet with dissident groups and members of non-governmental organizations during the visit. He said he also wants Kerry to pressure Havana to respect human rights in the country, where freedom of assembly and freedom of the press have been criticized. 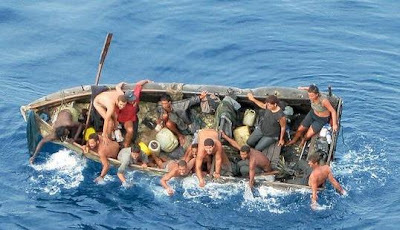 Washington should "give the Cuban government some conditions to get it to stop violating human rights," Soler told AFP. Kerry will be the first US secretary of state to visit Cuba since 1945, sealing what will be a major foreign policy legacy of Obama's eight-year tenure. Cuba is the only one-party Communist-ruled nation in the Americas. This August marks the 10th anniversary of the El Café Cubano blog. To me a sad day because Cuba, still after 56 years is in the grip of an outlaw criminal regime. 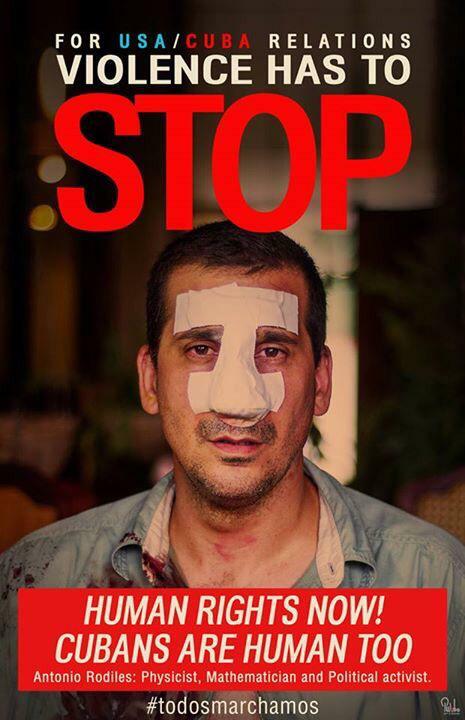 PLEASE, there is no justification for the revolution and it’s crimes. The SOLE objective of El Café Cubano is that of a FREE Cuba. Cuba selfie on a stick for the day! The lesson for today is: How to spot a Cuban-American! 12) The Godfather movie is our OFFICIAL guide to Cuban history before the dictator bros took over! Ok Liam and Abigail are you ready? The Embargo is the root of all of Cuba's problems........NO....no.....even though they can trade with 195 out of 196 countries in the world. The evil USA and the embargo is responsible for ALL Cuba's ills..
Once a leader in the world in sugar production(before the dictator bros) now this tropical island has to import sugar, and food...........YES, this is the USA and the Embargo's fault! Economic crises: Even though dictator brothers nationalized all the businesses, banks, and properties(millions of dollars) they still needed subsidies from the Soviet Union, and more recently FREE oil from Venezuela, yet the average Cuban wage is about $20 a month? NO ALFREDO, it's the Embargo fault for all of Cuba's woes! NO STOP IT ALFREDO.......So what if Antonio Castro recently vacationed in luxury in Turkey on a 50 meter yacht! Cardinal Ortega said that their are NO political prisoners in Cuba! Anyway they deserved it because according to the Godfather(authentic source of Cuban history) movie ALL Cubans were snooty, mafia members, worked for Meyer Lansky, and ALL Cuban women were prostitutes. 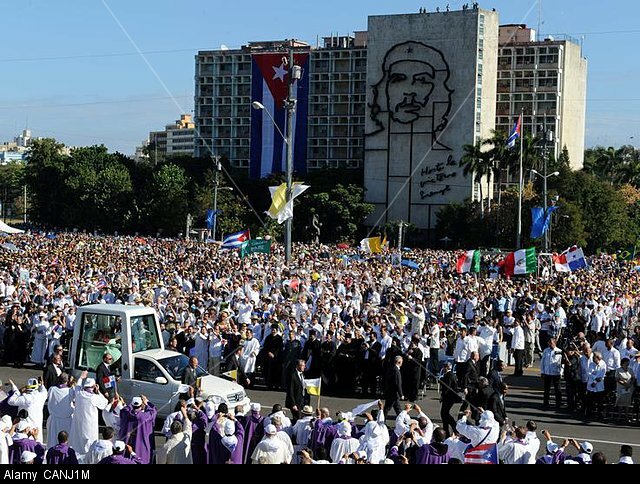 "Pope to lead Havana mass next to Che Guevara portrait"
It's starting already........just as predicted the mass will be held in the middle of revolution square with the beaming image of saint Che for millions to see on television. The Godfather movie is the authentic reference for Cuban history before the dictator brothers! In FACT, all the Cubans(except those who followed Fidel) worked for Meyer Lansky in casino business in Cuba. (don't bother asking a real Cuban for the facts). "Roger Klueh, holder of new Key West-Havana speed record"